Straight feed slicer for sausages. Blade Diameter 300 mm. It has a double sliding plate and the jointed handgrip. Model 300VBS is particularly fit for cutting sausages and cold cuts. With a new rounded shape, it’s really easy to be cleaned. Suitable for snack bars, restaurants, ‘pizzerie’. Straight feed slicer for sausages. Blade Diameter 300 mm. With jointed handgrip. 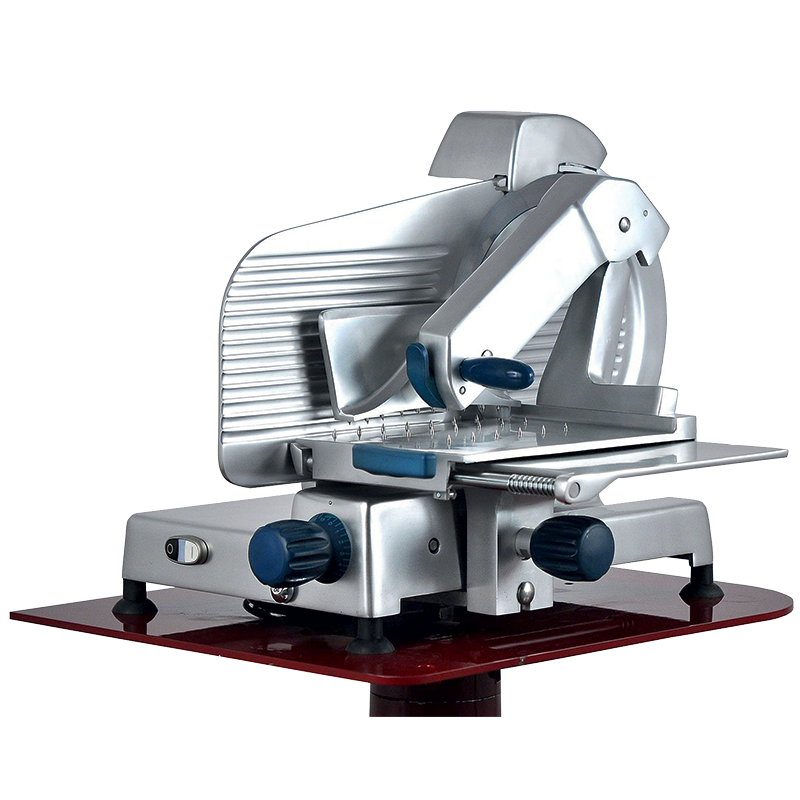 901003 Slicers Helmac FTA300VB for sausages. Blade Diameter 300 mm.